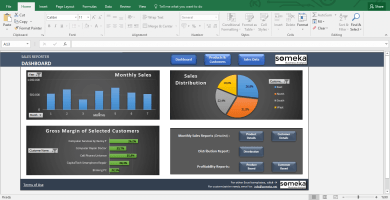 No new software, all in Excel. 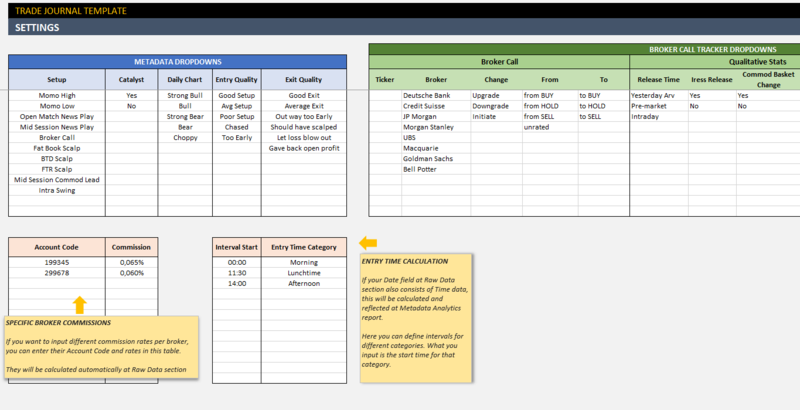 This user-friendly Trade Journal Spreadsheet Template is developed for professional and casual traders. Tracking is easy now! Keeping a trading journal is one of the most important tasks for serious traders. It helps to track the development and makes it easy to decide on the next move. 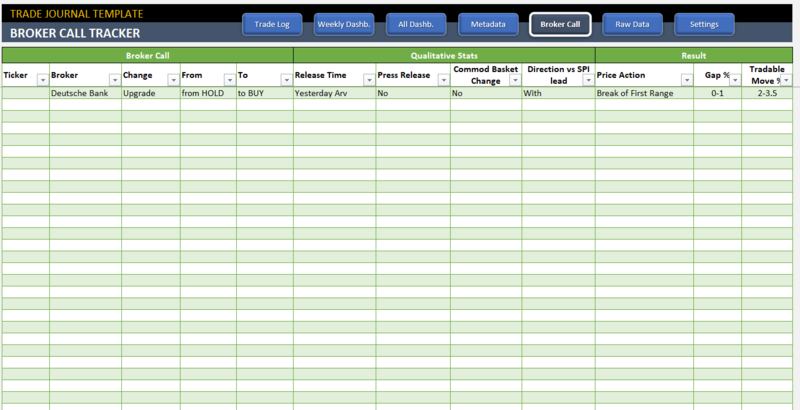 However, this task becomes quite time-consuming after a while especially for high volume daily traders. For this reason, we have built an easy to use yet strong Trade Journal Spreadsheet Template. 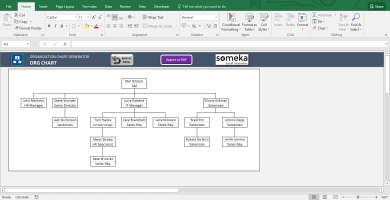 The best part is, all in Excel! So, you don’t need to spend time on learning complex software or web services for this job. 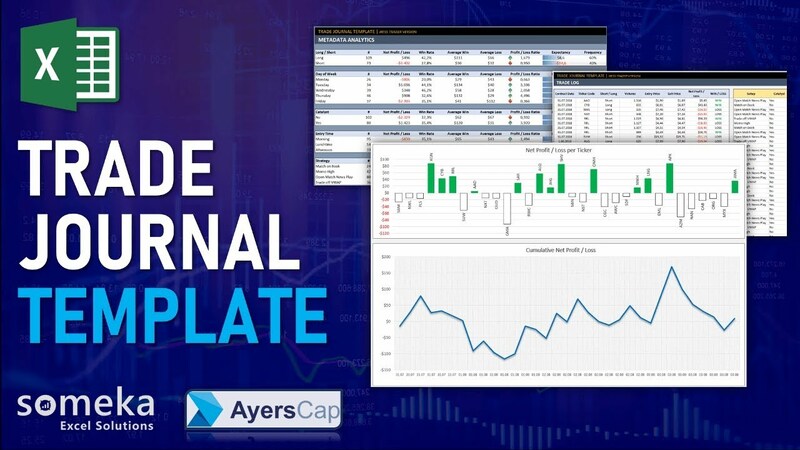 We have developed this template with the help of Ayers Capital Pty. Ltd., an international trading firm from Australia. 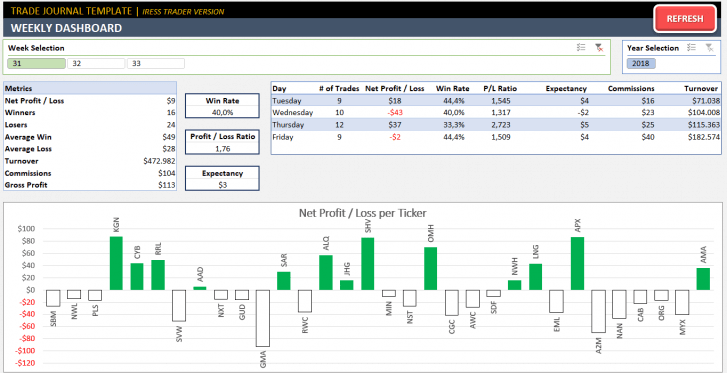 Bryce Edwards, owner of Ayers Capital, explains how he uses this Trade Journal in his daily processes. 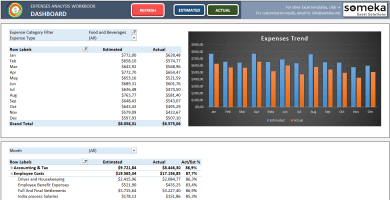 Raw Data: This is where you input your raw data (which you can export from your broker or agency software). 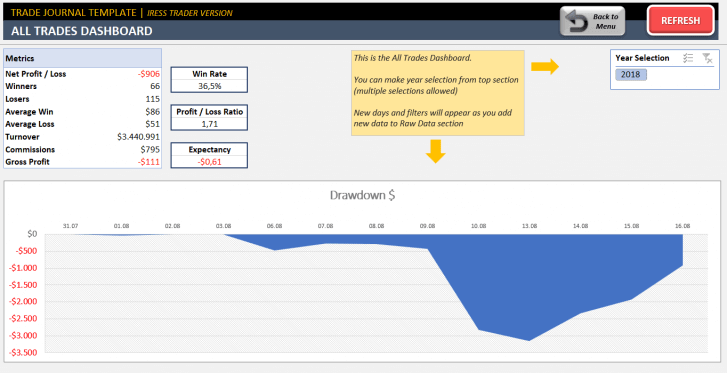 We have prepared three different versions for easier raw data management (special versions for IRESS Trader and Viewpoint is also included in the package). 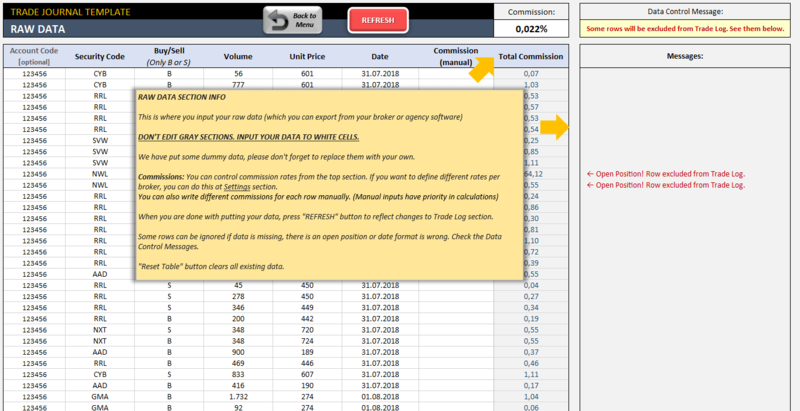 When you are done with putting your data, press “REFRESH” button to reflect changes to Trade Log section. 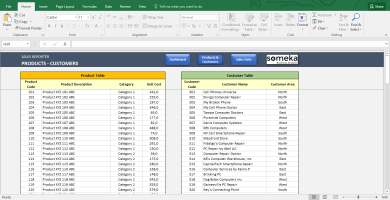 Some rows can be ignored if data is missing, there is an open position or date format is wrong. 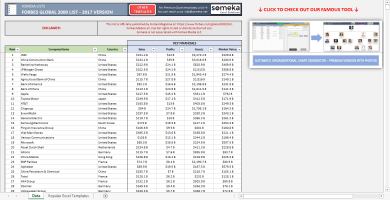 Check the Data Control Messages. “Reset Table” button clears all existing data. 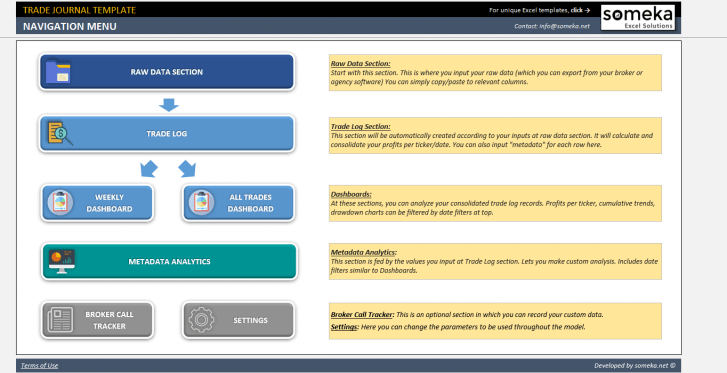 Trade Log: This is where your raw data is being calculated, filtered and displayed per transaction. As mentioned, this section is being fed from Raw Data. So, if you need to edit something please work on Raw Data section. If you think your transactions look good and correct according to your raw data, you can proceed to analysis dashboards to check your development and trends. 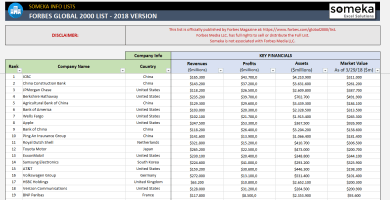 At the right side of this section you will notice the Metadata selections, which feed the Metadata Analysis we mentioned below. 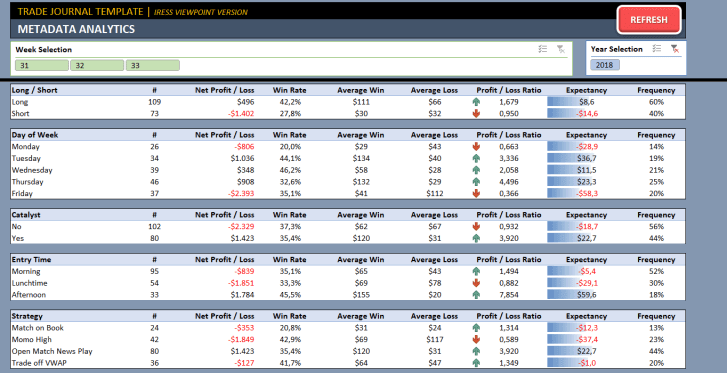 Weekly Dashboard: Here you can see the weekly performance of your transactions. You can make week selection from top section (multiple selections allowed) New days and filters will appear as you add new data to Raw Data section. 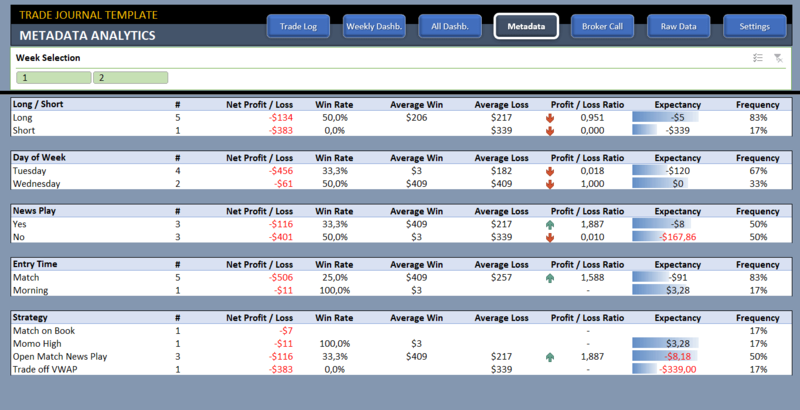 All Trades Dashboard: This is where you see the overall performance of your logs. 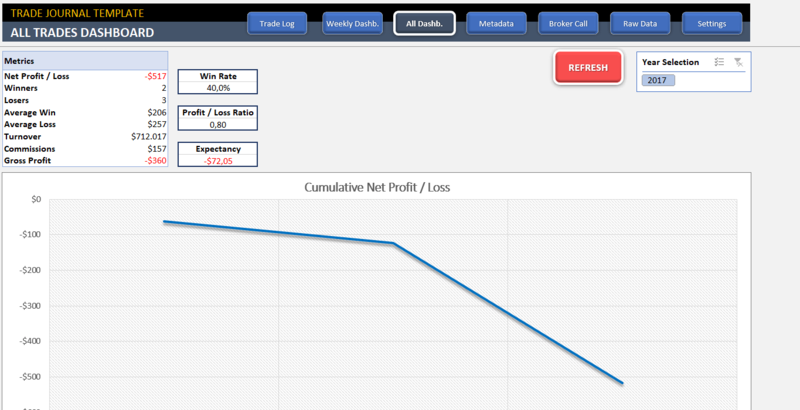 Cumulative Net Profit / Loss chart will give you a good idea about your decisions in the long term. 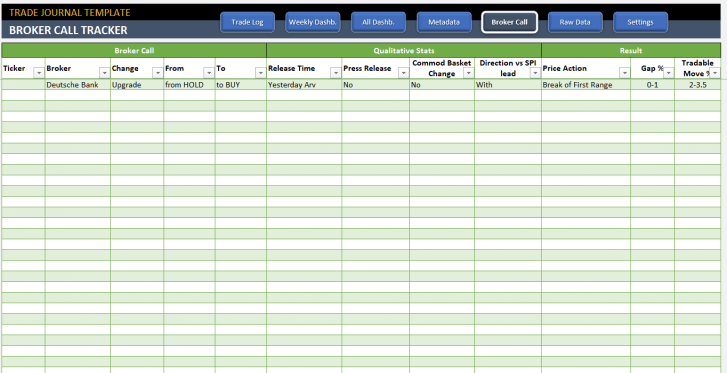 Broker Call Tracker: This is an independent section at which you can input some specific data for your trading log. Similar to the metadata analytics, these dropdowns can be edited at Settings section. 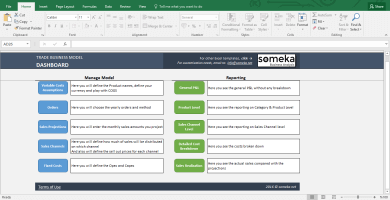 Settings: You can input your source data for the dropdowns used throughout the template. This will affect the metadata analytics and broker call tracker sections as mentioned above. 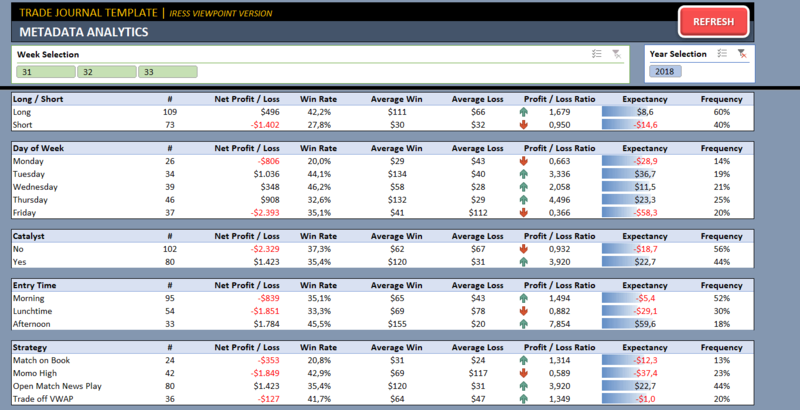 You can also manage Entry Time calculation here. Here you can define intervals for different categories. What you input is the start time for that category. 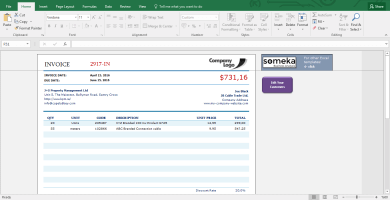 If your Date field at Raw Data section also consists of Time data, this will be calculated and reflected at Metadata Analytics report. 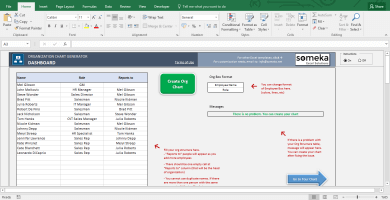 This Excel template is provided as-is and don’t include any customization. 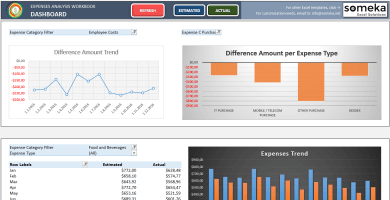 If you want it to be modified according to your own needs, please refer to our Custom Services. 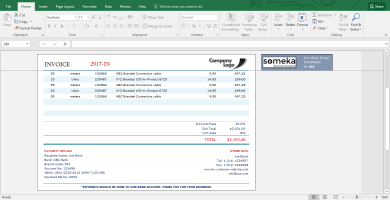 Invaluable product for any intraday trader – this Excel form has been of tremendous help in improving my trading. If you are serious about trading, this is One thing you can’t afford to not have in your arsenal. Great product and helpful team. They customized the product a little also to suit my needs as well. 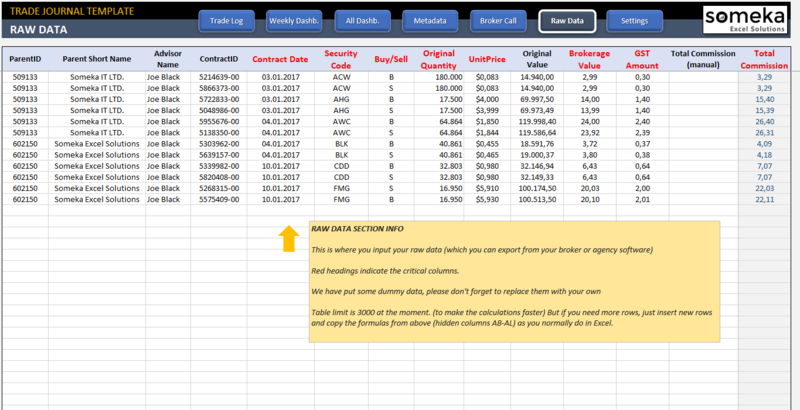 Thank you for this trading journal. It is fantastic and at a great price. 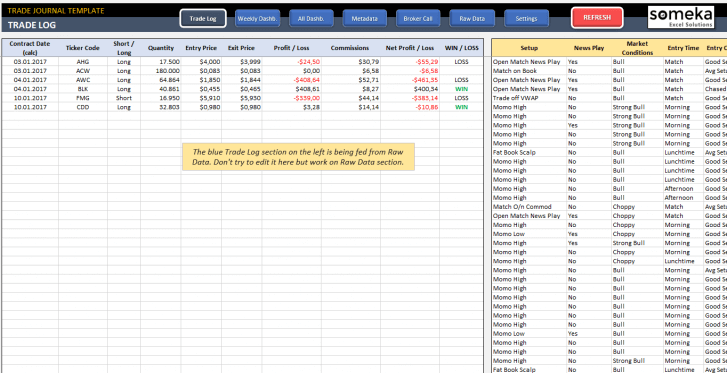 It really fills a gap in the market for tracking your trading in a disciplined and quantifiable manner. 5 stars! Thank you Craig for taking your time to write your feedback! Glad it was useful for you. Great results – wd. 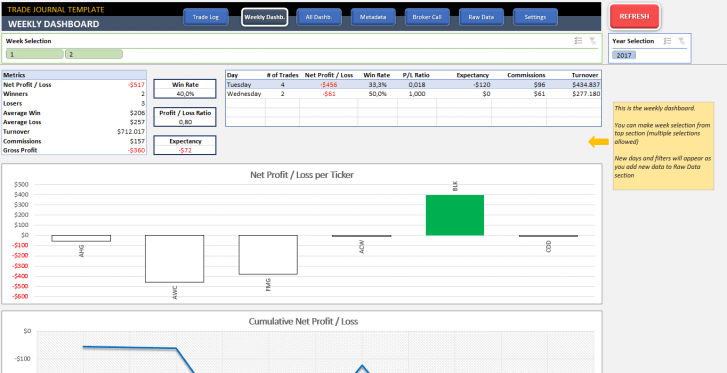 The trade journal is a fantastic tool – bought it 2wks ago. Still got work to do, to get my consistency up to scratch – but this helps the journey.. I do really like this journal. Thank you and please thank Bryce Edwards for all of the work he has put into it. It lets you to have a good discipline on losses. But it gets a bit slower after 15k transactions. Still good though. that looks great!! thank you been looking at making my own. Just don’t have that skill. Wow, I wish this was available a few months back. 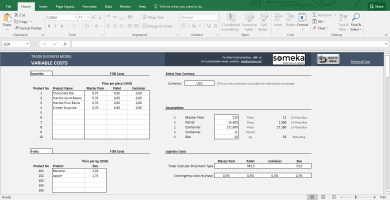 After spending countless hours building a trading journal template similar to this myself I can say this is very reasonably priced!